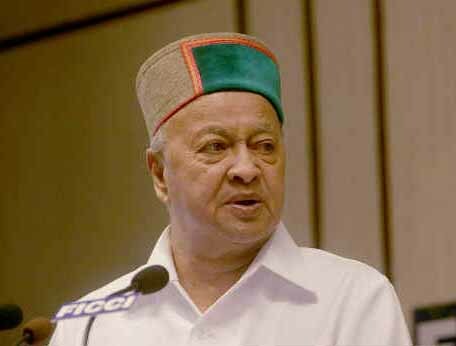 Shimla : Enforcement Directorate (ED) has issued summons to Himachal Pradesh Chief Minister Virbhadra Singh in connection with its probe against him and his associates for alleged money laundering. Sources said the summons have been issued under the provisions of the Prevention of Money Laundering Act (PMLA) asking Singh to personally appear before investigators at New Delhi in the first week of December. Similar summonses have also been issued to some of his associates, they said. The agency has filed a case under criminal provisions of money laundering laws after taking cognisance of a complaint filed by CBI in this regard in September. Agency sources had said investigators have gathered some “important” documents to probe and detect the suspected “proceeds of crime” allegedly channelled by Singh and his associates by using purported illegal funds. ED teams had also conducted searches in this case last week in three states of Delhi, Maharashtra and West Bengal. The agency is working to investigate the allegation that Singh and his family members allegedly amassed wealth of Rs 6.1 crore between 2009-11, disproportionate to his known sources of income, while serving as the Union Minister of Steel. The CBI FIR had named Singh, his wife Pratibha Singh, LIC agent Anand Chauhan and Chauhan’s brother C L Chauhan and they were charged under the Prevention of Corruption Act. CBI suspects that during the 2009-11 period, Singh allegedly invested Rs 6.1 crore in life insurance policies in his and his family members’ names through LIC agent Chauhan claiming this money to be his agricultural income. It alleged Singh attempted to legitimise the same as agricultural income by filing revised Income-Tax returns in 2012. “The agricultural income as claimed by him in his revised ITRs was not found to be tenable. The then Union minister had allegedly accumulated other assets disproportionate to known sources of income,” CBI had alleged. CBI had also carried out searches at various premises belonging to Singh and family immediately after filing the FIR and the Congress party had then termed the action as “highly vindictive”. The agency has registered the case in Delhi.